Back in early April, I had a few days of freedom before starting my new job. Yes, I admit that I took one of those days to sit on the couch and re-watch the Usual Suspects for the eight hundredth time. For another of those days, I put together what I thought had been a masterful plan to get my father out of his Framingham apartment and take him to Foxwoods. My parents were once minor-league VIPs at Atlantic City mainstays Hilton and Caesar’s. On a Friday afternoon, their friendly “host” would call them, invite them to a show, offer them a free room and vouchers for expensive restaurants (where of course no one actually paid, thereby making the price a fiction), and plan to meet them for dinner. These 2 people became like surrogate children to them while my brother and I were off living our lives far away. Looking back on it now, I wonder if having this on-demand contact with someone who doted on them wasn’t a big part of what they were buying. Because, trust me, they were buying it. I finally saw their tax returns after my mother died and I know how much money disappeared into the slot machines along Atlantic Avenue. In the summer of 2012, a year after I’d seen those 1040s and realized why my father’s savings weren’t what they might otherwise have been, I went to visit him in Lawrenceville. I had just sold off a business that had really been struggling after sticking with it longer than any reasonable person would (although remember, I am an entrepreneur). Which is to say, I was relieved, exhausted, proud, sad, and hopeful all at the same time. Even though I had railed against the casinos many times, my father suggested, and I agreed, that we should visit Revel, which had just opened up. Into the car we climbed and off we went. 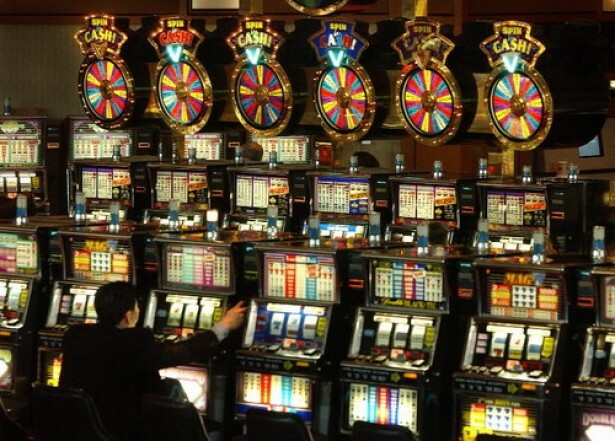 Watching my otherwise frugal father stuff $100 bills into slot machines was quite a shock to the system. So was seeing his incontinence on such stark display; the less said about that, the better. On the other hand, something about the lure of the gaming floor re-energized him and set back the clock 20 years, especially for his walking. We had a great dinner together that was a prelude to some of the meals we have now. He was proud: in his element, still living in the house he was convinced he could take care of, and educating his son over french fries about the systems for how to beat the slot machines. Revel is gone now, as are many of Atlantic City’s casinos, victims in part of the demographic shift as my parents’ generation stopped visiting and younger gamblers never came to take their place. So six months ago, sitting on the couch watching Kaiser Soze emerge from the police station and climb into Kobayashi’s BMW, I looked forward to our Foxwoods trip as an adventure and a chance for my father to reclaim how he felt that day. I also used it as a prop to get him to walk more and, most importantly, be ready for a long day where bathrooms would be inaccessible. However, when I showed up to his place, he was totally unprepared. And when I say unprepared, I mean he’d had an accident and nothing to protect his jeans from the result of it. For some reason, when I suggested he change his pants, he refused, and did so as if the situation we now found ourselves in was my fault. Trying to deflect blame back to me, he blurted out “You didn’t send me an email telling me when you were coming.” HIs suggesting that I am irresponsible is a classic manuever I remember well from childhood, so when I showed him on his iPad exactly when I had sent it, I was overcome by a wave of fury unique to adults whose parents to try undercut them in the same way they did decades ago. I demanded he put on clean pants. He refused and dug in. I calmed down somewhat and reasoned that the problem might be that it was too much work to change his pants, so I offered to help him. He still refused. So, rather than spend my day trying to argue with him further, I called off the trip, and left. So here I am six months later. Things have improved to the point where now when I show up, he is never, ever unprepared. He makes a point of wearing not just underwear, but adult diapers that prevent the kind of unfortunate accidents that I saw that morning back in April. This might seem like a needlessly intimate detail to share on a blog, and maybe it is. My point is that this is his small way of showing respect, and I appreciate it so much. I know that getting older inevitably comes with the body’s decline, and acknowledging this is probably accompanied by a loss of dignity. I am not going through this to the level he is, although middle age is where it starts to kick in (see: nighttime bathroom trips). So for him to do that, week after week, is a small gesture that I think speaks volumes. In recent days, I have started to think that maybe another try at Foxwoods would be a fun adventure for him, and a nice gesture from me. But then part of me feels like I don’t want to mess with a good thing. Maybe the pressure of such a long excursion was too much for him. Maybe visiting a casino in Connecticut is just not the same as weekend getaways to Atlantic City with his wife, and that changes the equation. Mostly, maybe sometimes the anticipation of something can remain better than the actual something itself. This is my Foxwoods Dilemma.